Muscat: Low oil prices and salary irregularities amidst weak economic growth have taken a toll on expatriate remittance flows from Oman to Asian countries. Exchange houses have admitted to significant loss of transactions to India, Bangladesh, Philippines and Nepal among other countries. Remittances to India, Sri Lanka, Bangladesh and the Philippines have declined by 35 per cent this year, they say. India, the biggest receiver of remittances from the GCC, saw its receipts plummeting 2.2 per cent to $35.9 billion (Dh132 billion) in the 12 months to March, compared with the same period a year earlier. India also witnessed an 8.9 per cent dip in money sent back by its citizens residing in other countries in 2016, a sharp decline compared to the 1 per cent dip the previous year. India saw $69.6 billion in remittance in 2014, which dipped to $68.9 billion in 2015, before falling to $62.7 billion last year, as per the World Bank. A significant amount of remittances are sourced from blue-collar expat workers in the Sultanate, and their flight from the country has affected remittances, he added. An official from Al Jadeed Exchange at Ruwi High Street, shared a similar sentiment. 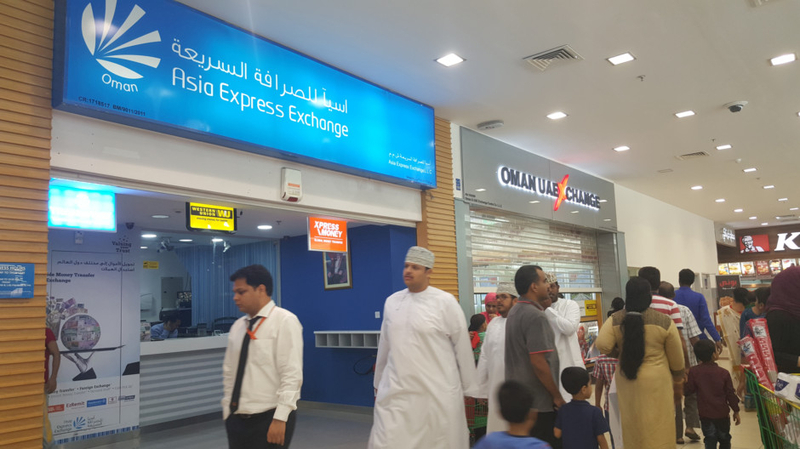 “Ruwi High Street branch is not frequented by remitters now as much as it was in the last two years because of opening of new branches in other parts of the Sultanate. This is our observation at the branch. But overall the remittance houses are depressed owing to the economic downturn in the region,” he said. Oman’s 2017 GDP (gross domestic product) growth forecast has been significantly lowered from 2.6 per cent to about 0.38 per cent. After touching rock bottom, there are hopes for a better performance in the coming five years, according to the IMF World Economic Outlook released in April. There is light at the end of the tunnel as experts opine that the grave situation of remittances is expected to change by the beginning of the next fiscal year. Remittances are expected to improve as the Omani Riyal is expected to strengthen in the currency market ahead.